Hide this Project (Ekta Invictus) Discover properties in other projects by hiding the ones that doesn't interest you. You won't see them in your searches further but you can unhide anytime later. 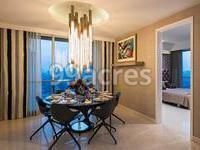 Ekta Invictus is a residential development of Ekta World. 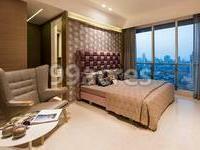 It offers spacious and skillfully designed residential apartments. The project is well equipped with all the basic amenities to facilitate the needs of the residents. The site is in close proximity to various civic utilities. 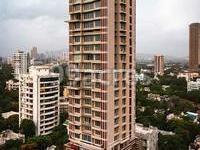 In which area is Ekta Invictus located?The project is situated in Dadar, Mumbai South. What are sizes of apartments in Ekta Invictus? The apartments size in the project is 1746.0 sqft. What is the area of 4 bhk in Ekta Invictus? The size of 4BHK units in the project is 1746.0 sqft. How much is the actual area of Ekta Invictus?The area of the project is 0.23 Acres. How many units are there in Ekta Invictus?There are 25 units available in the project. Does Ekta Invictus have badminton court? The project doesn't have a badminton court. EKta World was conceived in 1987, with a mission to become the top real estate company of India. Served by a hard working and adroit team of professionals, the company has gone from strengths to strengths and has achieved its goal to a great extent. Today, it stands tall with an ISO 9001:2000 certification and recognition by American Quality Standards. These feathers in its cap are a result of its unwavering commitment towards customer satisfaction and quality. ich we call apartment complexes. Their residential constructions are admired and longed for by the customers. With an experience of over two decades backing it up, the company seems to have the customer?s nerve in its hand. If awards are a measure of a company?s success, then Ekta would be tight there at the front with its long list of accolades. The Economic Times Ace Award in 2010 and MCHI award for customer information and responsiveness is just a couple of the many.